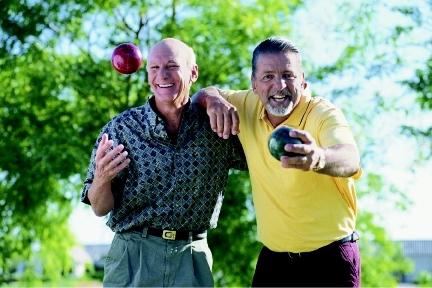 See which hobbies can help you find both new friends and new skills! Sometimes it seems easier to stay at home on the couch than bother with going out to socialize with friends. When socializing means getting dressed up, spending money on drinks, dinner and entertainment, who can blame you? An easier—and less expensive—way to socialize is with a hobby. Try these ideas on for size. Making videos is a hobby that will get you in the social mix very quickly. With a handheld digital video camera and some inexpensive video editing software, you can create keepsake videos for people and events. Once others hear of your hobby, they’ll be inviting you to their parties and functions so you can memorialize the event on their behalf. People always need videos of weddings, christenings, retirement parties, and more. For this hobby, you should be comfortable asking strangers about themselves. Even introverts can usually do this, because during the whole interview, you’ll be behind a camera. You'll learn the editing software, but programs like iMovie and Final Cut are easy to pick up. As a party host, you would throw gatherings at your house for distributorship products like Tupperware, Pandora jewelry, and more. These companies will pay you a portion of any sales you make at the party in return for a short demonstration and display of their product samples. Of course, for your purposes, this hobby would enable you to socialize on your own turf. Your invited friends would bring their friends, who might bring their friends, and so on. If you make a little extra cash in the process, that’s an added bonus, but socializing will be your main goal. Regional theaters are always accessible to local amateur actors. You’ll need to audition and feel comfortable memorizing lines and performing in front of a live audience. If you don’t get a part, chances are the theatre will still welcome you as a volunteer in the production. There are numerous roles that need to be filled on the sidelines. Whatever level of participation you engage in, your social calendar will be filled with this fun and creative hobby. Adults who actively pursue lifelong learning often take courses on topics like foreign languages, cooking, sewing and more. If you have an interest in learning more about a subject, then engaging in a lifelong learning hobby will fill that need, as well as provide you with a natural social environment. Here, you can meet new friends that you already know you have something in common with. Churches, charities, and schools constantly need fundraising help. If you make this your hobby, you’ll be in high demand in lots of different social circles. Fundraising is a hobby that requires creativity, organizational skills, and resourcefulness. Best of all - you’ll be benefiting others at the same time as you’re helping yourself. These five fun and interesting hobby ideas will have you out socializing without you even realizing it!